The Odyssey® Diode Laser represents the latest diode laser technology available for soft tissue modification and preventive care. Dr. Jones and his team are highly trained professionals providing better dentistry made possible through the use of the most sophisticated, precise and minimally invasive technology available today! The Laser performs minor surgical procedures and in addition, eliminates bacteria from the area at the same time. Sutures are rarely needed for laser wounds and many soft tissue procedures around the gingiva can be completed without anesthesia for greater patient comfort. What does a laser do? 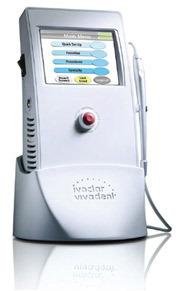 The Odyssey Diode Laser vaporizes and modifies soft tissue without bleeding and usually without injected anesthetics. When used in contact, diode laser energy only penetrates about 200 microns, making it safe as well as effective. Surface tissues are vaporized in a controlled manner, and the underlying connective tissue is coagulated and the resulting laser wound is self-sealing, and in most procedures requiring no suturing.